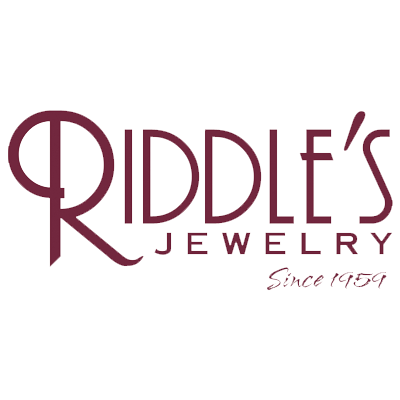 Did you know that White Sapphire is often used as a less expensive alternative to diamonds? 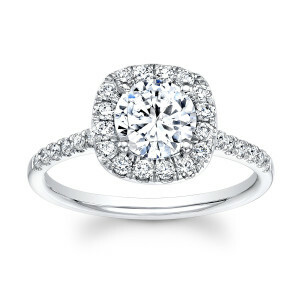 You can expect to pay approximately $500.00 per karat which is significantly cheaper than diamond. This allows you to add other gemstones to the set if you want, or choose a larger stone! White sapphires have an exceptional durability, and hardness. 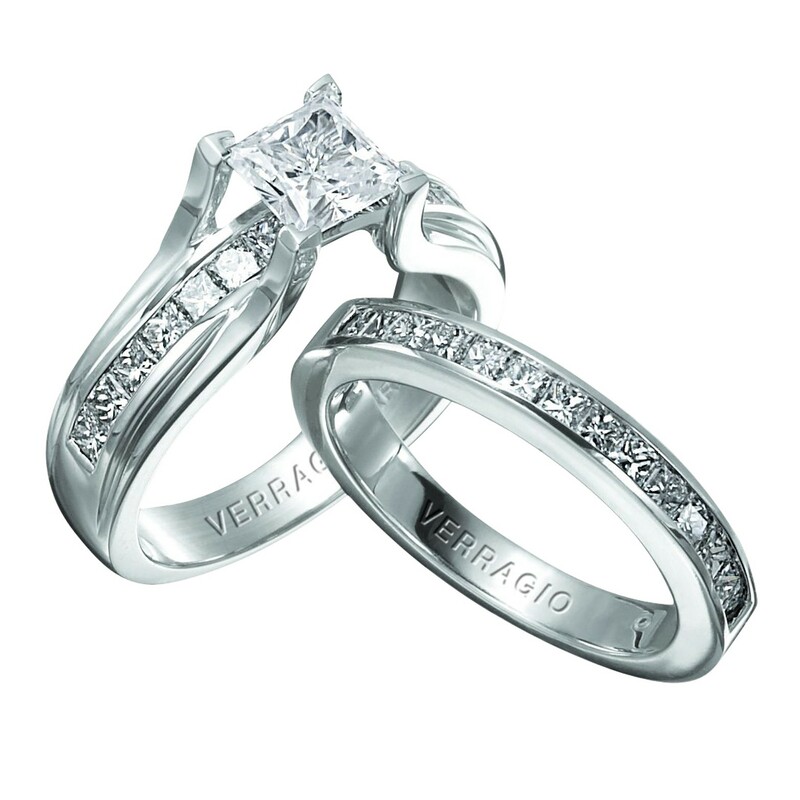 Take a few moments to look at these ten amazing white sapphire engagement rings. The round white sapphire engagement ring is simply stunning, wouldn’t you say? 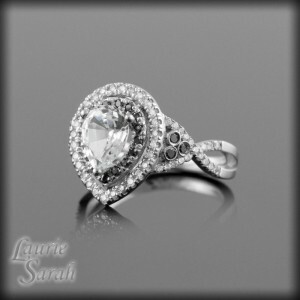 It will melt your ladies heart as soon as she see’s this gorgeous ring as you pop the question! This white sapphire is set in white gold surrounded by many smaller white sapphires, which accentuate the main square cut sapphire. The princess cut stone is simply amazing as it is a brilliant square cut sapphire. This ring has a main sapphire with a smaller set on either side. The ring continues with smaller white sapphires on the band as it goes around the finger, as well as white sapphires elegantly set on the outsides of the ring. 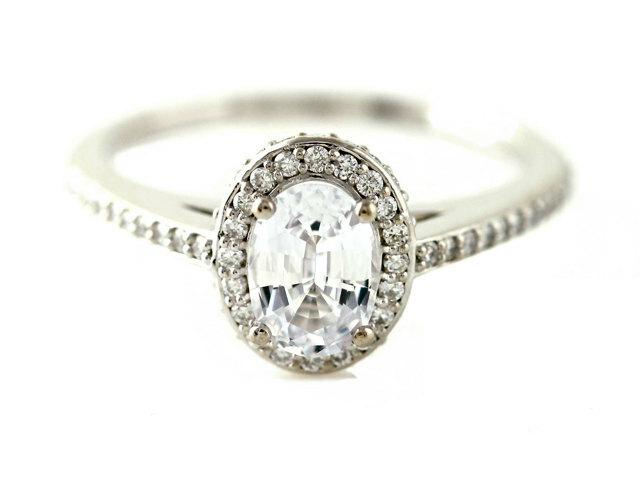 Surprise your lady with the beauty of a white sapphire ring that will make her look and feel like a princess. 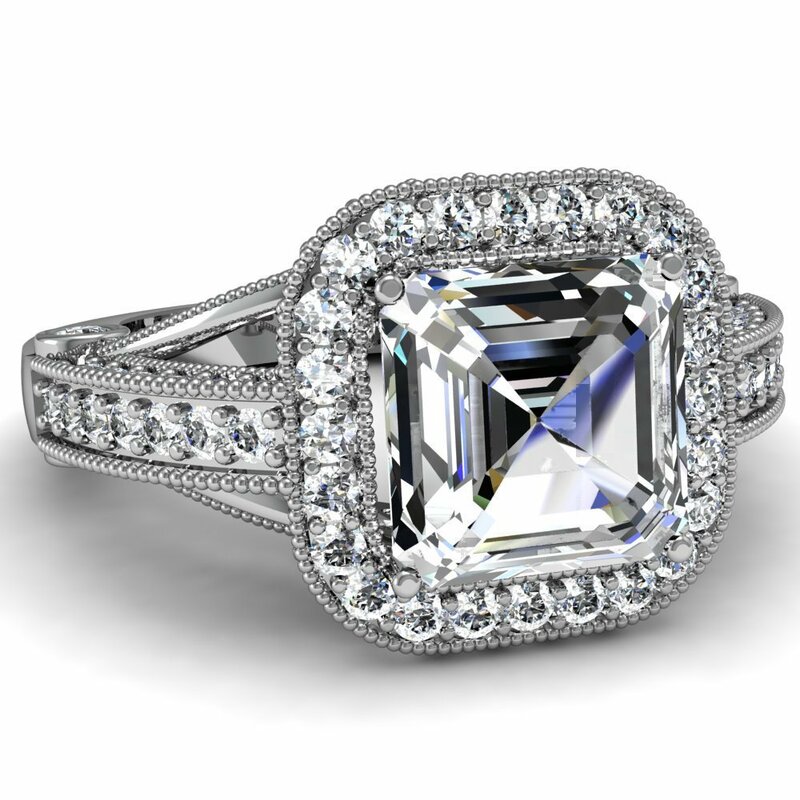 The emerald cut white sapphire is named for it’s green emerald cousin. 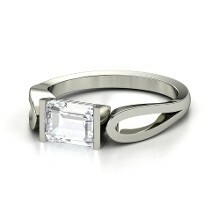 The ring features a rectangle stepped design. The emerald cut ring is simple with it’s flowing sterling silver band that showcases the gorgeous emerald cut sapphire in the center. Any woman would be proud to place this upon her finger. The Asscher is similar to the emerald cut, but is square instead of rectangular. The feature that makes the emerald so noticeable is the stair step cut which is larger at the base, stepping up to a smaller face. This ring commands attention. The design showcases a large sapphire taking center stage, surrounded by many smaller sapphires and silver beads, continuing down three quarters of the band. You could not go wrong with this beauty. 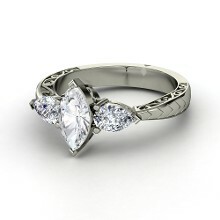 The Marquise style is an elongated oval with pointed ends. 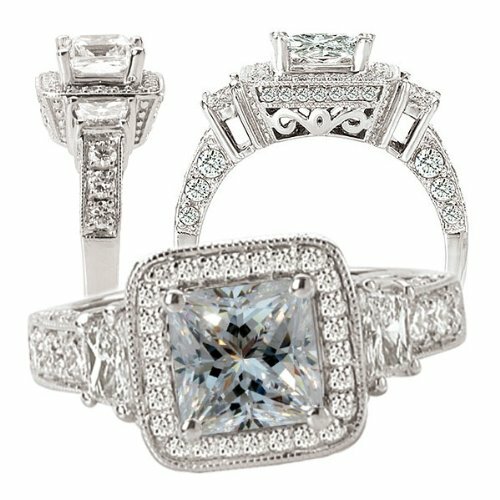 This particular ring has the main white sapphire, held with white gold prongs as well as a smaller marquise set on each side of the main diamond, turned in the opposite direction. 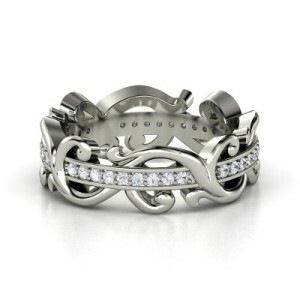 The band is 14 karat white gold, making for one very gorgeous piece of jewelry for the special lady in your life. 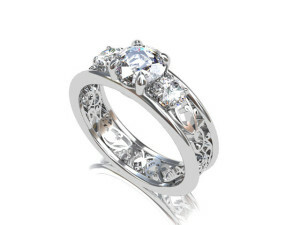 Imagine this beautiful white sapphire filigree engagement ring on your brides finger. 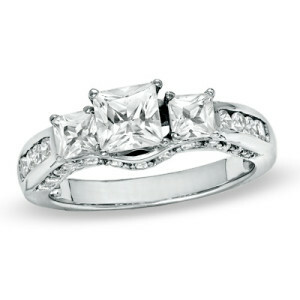 Made from white gold, this ring features a .70 ct white sapphire with a 5. mm wide band. The ring can be a stunning addition to a fabulous wedding set! The center is held in place with prongs, and two smaller white sapphires are set to either side of the main gemstone. 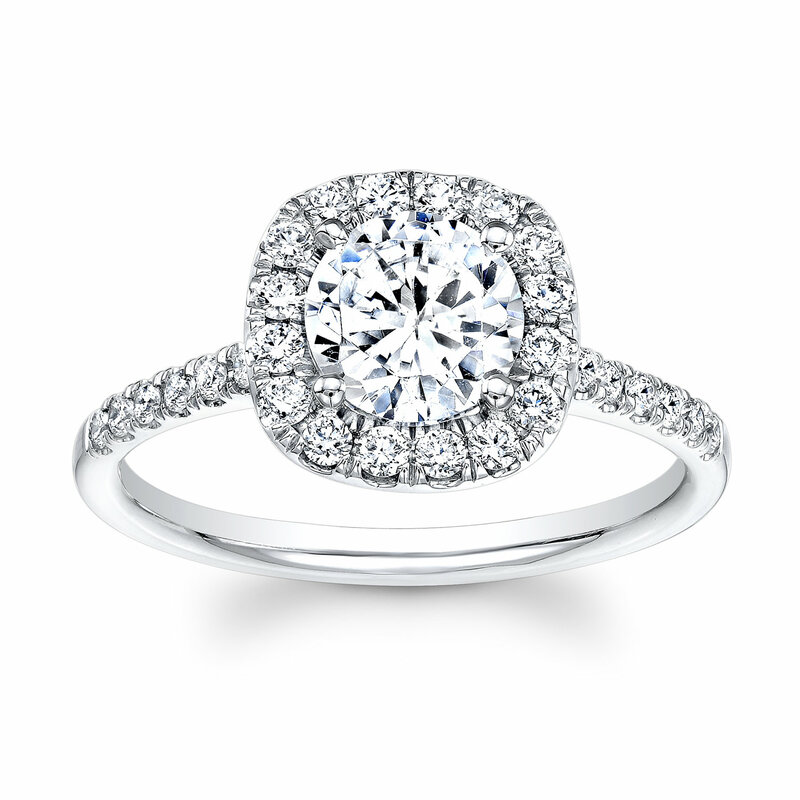 The oval cut white sapphire is just over a karat in size on this beautiful engagement ring. In addition to the center oval cut white sapphire are 70 tiny natural diamonds surrounding not only the white sapphire, but the band of the ring as well. The main stone is much cheaper and the diamonds are tiny, making this a very affordable engagement ring for your lady in waiting. This white sapphire surrounded by black diamonds in a pear shape is quite stunning. Most women will find that wearing the point facing away from the hand elongates your fingers. The ring features a split band lined with white sapphires that criss cross as they come back to a single band at the base of the finger. 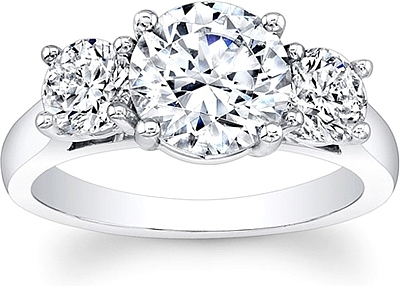 This engagement ring is so pretty! 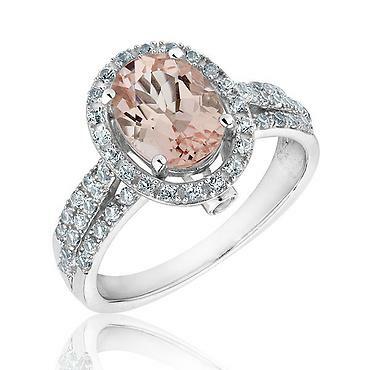 It’s main gemstone is a pink morganite surrounded by white sapphires set in sterling silver. There are 17 white sapphires on each side of the ring along the band. Also on each side of the ring just under the pink morganite is with a single round white sapphire. Amazing! Surprise your bride to be with this gorgeous ring. This ring is simple, yet very lovely to look at! The sterling silver seems to weave it’s way throughout the white sapphires. The sapphires are not very large, but there are a great deal of them. This ring would look amazing on your gorgeous bride. Perhaps fitting for an old fashioned fairy tale wedding set in a canopy of trees in the early fall as the leaves begin to turn colors with your bride at your side.